When you go to the doctor’s office or a government building, you will find wheelchair ramps at the entrance and Braille on the elevators. When you turn on the TV, you will find an option for closed captioning. These are all steps taken – and often required by law – to ensure people with disabilities have equal access and equal opportunity. Yet, when it comes to the web, accessibility is usually an afterthought or not even considered at all. There are millions of people in the world with disabilities and, as a website owner, it is your responsibility to make sure that everyone has access to your website regardless of disability. This is known as web accessibility. If you don’t have a disability, it is hard to imagine using the web. How do you read blogs if you are visually impaired? How do you browse the web if you are physically impaired and can’t click a mouse? How do you watch a video online if you are hearing impaired? 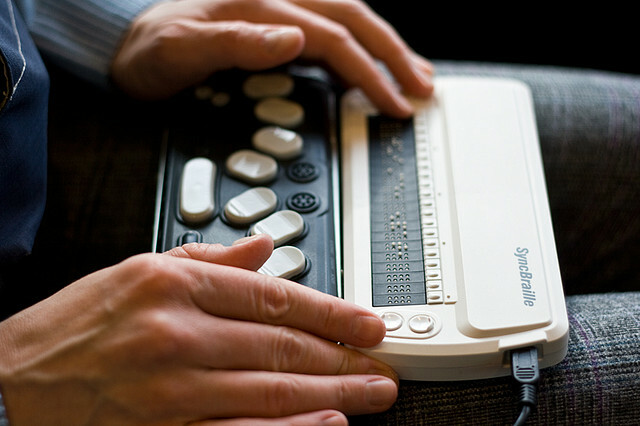 Disabled people utilize a wide range of tools to help them access the web, such as screen readers, Braille keyboards, and voice commands. When a website is accessible, then it can be used as effectively by a person with a disability as a person without a disability. As Jim Thatcher points out here, this doesn’t mean that it will take the disabled person the same amount of time to complete a task, but the process must be comparable. Don’t let the term “accessible” confuse you. Web accessibility is not just about allowing disabled people access to your website in the same way a ramp allows wheelchair access to a building. Web accessibility means that disabled people can use your website in a meaningful way.For example, part of web accessibility involves putting ALT tags on images so they can be read by visually impaired people using screen readers. If your website is accessible, then those ALT texts will actually make sense to people who can’t see the image. How Do People with Disabilities Use the Web? According to WHO, 285 million people in the world are visually impaired. Of these, 39 million are blind and 246 million have low vision. Visually impaired people can access the web with tools like screen readers and using keyboard-only navigation. People with moderate visual impairment (such as is common in elderly people) may rely on screen enlargement and require websites with good color contrast and well-labeled graphics. Depending on the type of physical (motor) disability, the person may use only a mouse, only a keyword, or only voice commands to use the web. There are also many different devices, like mouth sticks, eye sensors, and light-operated mouse systems. If your website can only be used with one type of command, then these physically impaired users may have accessibility issues. Hearing impairment isn’t an issue for many websites, but it can be if your website contains video or audio content. People with hearing disabilities rely on good volume controls and deaf people rely on transcripts and Closed Captioning for videos and audio content. Cognitive disabilities range drastically, such as causing people to have trouble with reading, comprehending, and memory. Many people with cognitive disabilities may rely on text-to-speech software for understanding web content. Complex web designs can cause problems for people with cognitive disabilities when accessing the web. When talking about web accessibility standards, you will hear two terms: WCAG and Section 508. 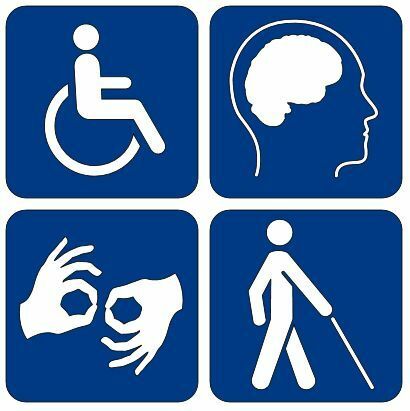 The Rehabilitation Act of 1973 prevents discrimination on the basis of disability by federal agencies and agencies receiving federal money. In 1998, the Act was amended to include Section 508, which extends the law to electronic and information technology. Under Section 508, agencies must give disabled people access in a way which comparable to the access of others. Many aspects of Section 508 and WCAG are the same. However, they are very different things. Section 508 is a legal requirement and WCAG is a set of guidelines. In general, WCAG guidelines are represent a higher level of accessibility than the Section 508 standards. Web accessibility is something which should be considered from a developer and a design standpoint. We advise that you look through the resources at the bottom of this page to learn more about web accessibility standards, legal regulations, and principles. Currently, you can check for both spelling errors and missing ALT text with the Monsido Webmaster and SEO Tool. The tool will scan your website on a weekly or on-demand basis to determine if there are any errors, and send a report to your inbox. Monsido also has the ability to scan your website and check for WCAG 2.0 A, AA, and AAA standards, and Section 508 Compliance. Please note that, while tools may help you find accessibility errors and may even be able to automatically fix them, web accessibility is still something which needs to be evaluated on a human basis. For example, software can determine if you are missing ALT text, but software cannot determine if the ALT text is written in a way which makes sense to users.